Last week, there was no escaping the headlines. 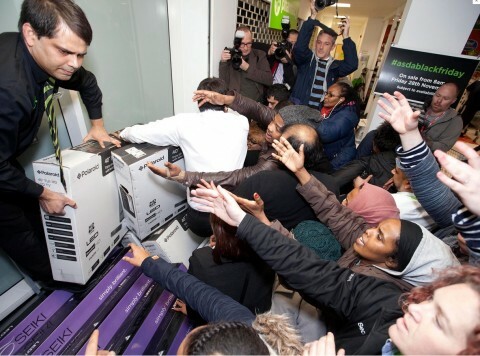 “Black Friday breaks record”, was The Financial Times headline; “Black Friday sparks £4bn high street frenzy” was The Sun’s strap; while The Telegraph ran a pictorial feature of “Black Friday hits Britain: in pictures”. But five years ago, this didn’t exist: if you said the phrase “Black Friday” to someone, they’d probably think you were talking about a stock market crash. So how did this come to pass? How did something that was a uniquely American phenomena become an integral part of the run up to Christmas in Britain so quickly? The answer is simple: PR and marketing. Amazon first introduced the concept of shopping over the US holiday weekend to the British market in 2010. Then, it was predominantly music that was discounted: Take That’s Progress and Susan Boyle’s The Gift were both on offer for £1. It was a huge success due – in part – to some clever marketing and PR. Not surprisingly, other retailers wanted in on this: Apple, Currys, John Lewis and Argos – to name but a few. All offered cheap online deals over the next two years. And so the story grew: more retailers offering deals, more users going online to shop. It was a system that fed into itself. What was perhaps more interesting at the time was that the focus was on the technology, business and consumer sections. Consumer champions were offered up for interview to give tips on how to find the best deals; techies gave sage tips on the best times to log on to bag a deal, while for the larger firms, their CEO’s or CFO’s were talking up their expectations for sales (and making The City quite excited too). And there the story might have ended had not the supermarket giant Asda entered the fray. In 2013, instead of offering online deals, they offered discounts at their retail stores. And they combined that with a big PR push to broadcast media, targeting not just the biz and tech desks, but the main newsdesks too. A retail analyst was offered up, along with their Chief Merchandising Officer and financial analyst Mrs Moneypenny aka Heather McGregor to radio and TV. The results surpassed expectations: shoppers arrived in droves, in some cases overwhelming stores by the sheer number. And that was real news: crowds of shoppers and retailers smashing sales records. Of course, this was all created by generating a story: the sales opportunities now available in Britain, by feeding the right parts of the media at the right time and presenting the correct people to comment in the story. PR in its purest form. He’s both right and wrong at the same time. In Britain the sales weekend isn’t about Thanksgiving; it’s the kick-off to the Christmas shopping. And, yes, he is fighting a losing battle. 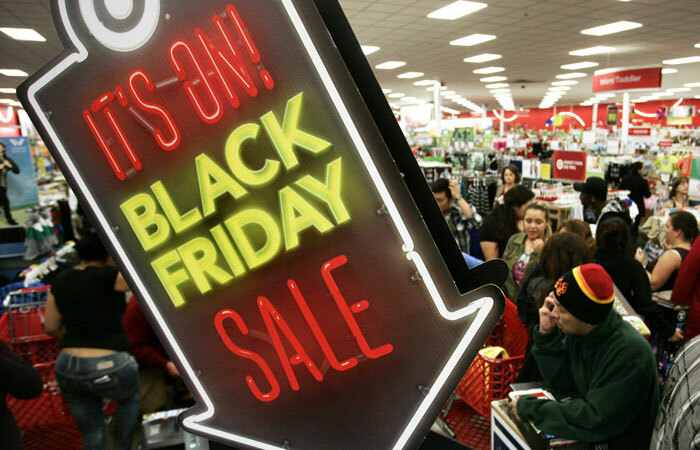 Black Friday is now as much a part of the British calendar as Mother’s Day, Valentines, Father’s Day or the Boxing Day sales. And a clear illustration of the effects PR can have not just on the fortunes of a company, but on society as a whole.